This is a human-controlled snake. It can be created by pressing ‘h’ during gameplay. You have to control the human snake from your keyboard . It is slightly intelligent snake. It is the remain of the previous version of the game. It can still play quite well. But, the algorithm is quite weak compared to the “intelligent snake”. You can create a computer snake by pressing “c” during gameplay. It is the most advanced snake of all. 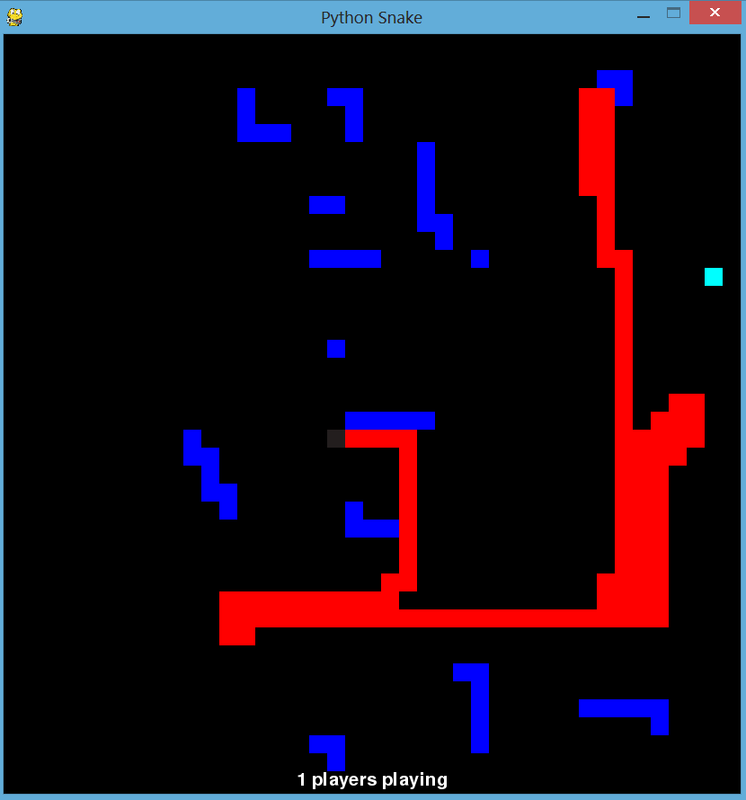 It uses a* algorithm to find it’s path to the food. If there is no path (like when the body of snake is forming a loop around the food and preventing itself from going towards food) then it will use the algorithm of “computer snake” to find it’s path until a clear route to the food is found. You can view the sources file in it’s repository.